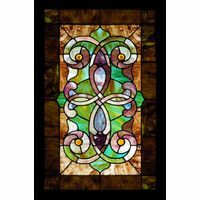 This elegantly crafted stained glass art work featuring images of beauty and light, will both delight and inspire onlookers. 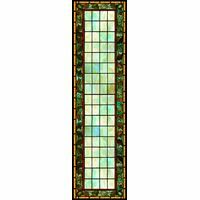 Crafted by artisans, this window insert is unrivaled in the beauty of its rich hues and pleasing textures. 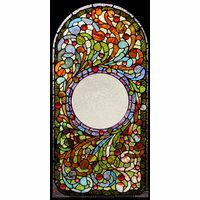 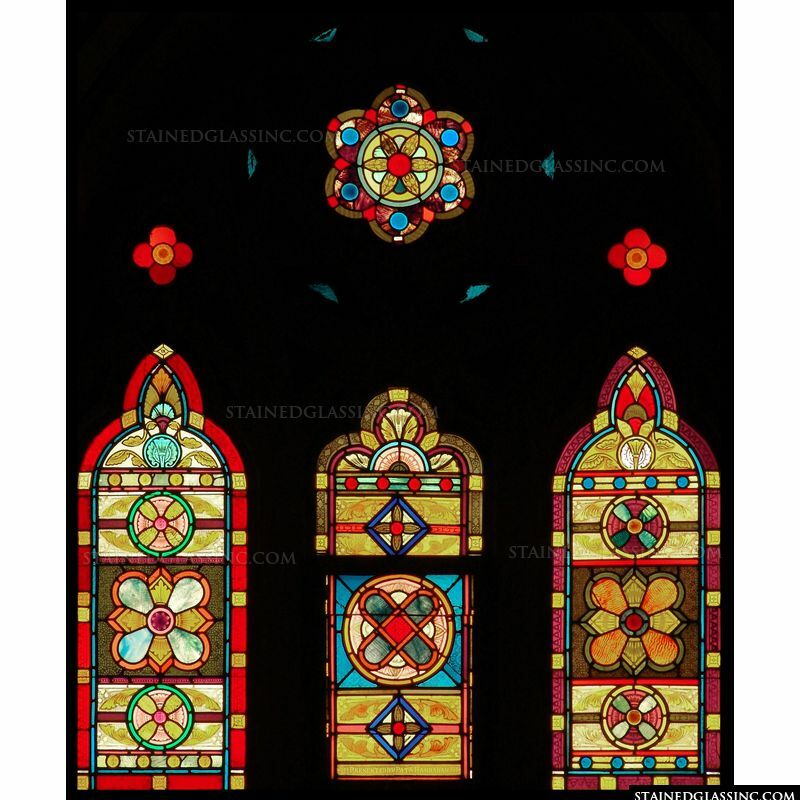 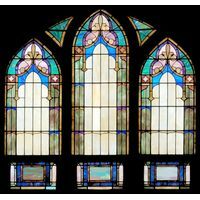 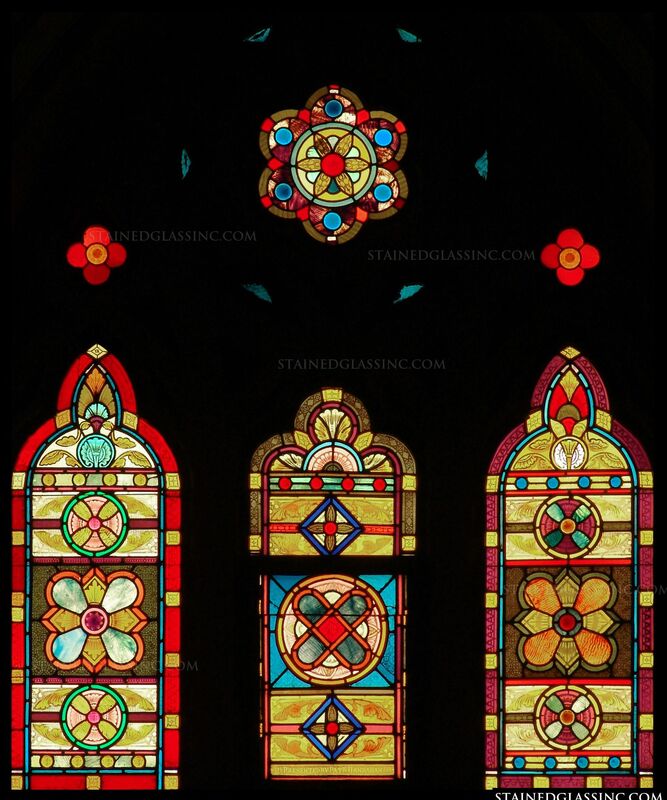 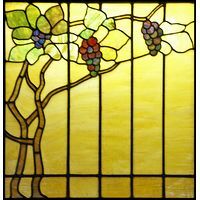 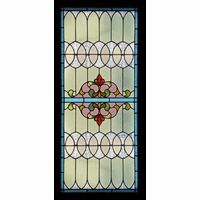 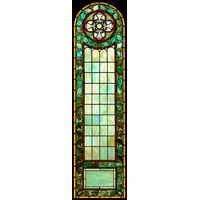 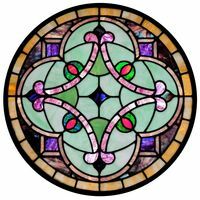 Displaying a beautiful range of colors, this stained glass art panel brings warmth into any room.